Blockchain, not Bitcoin, the Next Game-Changer? Posted byLeonardo Frisani (Ma) February 5, 2018 October 16, 2018 Leave a comment on Blockchain, not Bitcoin, the Next Game-Changer? In this article, we shall analyse the drivers behind the rise in cryptocurrencies’ value and market capitalization and start envisioning future evolutions, focusing notably on Bitcoin and blockchain technology. Previously, we explained what is a cryptocurrency and highlighted the possible revolutionary impact of blockchain, the technology underlying the majority of cryptocurrencies. We, meanwhile described the main features of the three most capitalized cryptocurrencies: Bitcoin, Ethereum and Ripple. Here, after having addressed the drivers behind Bitcoin’s rise, we shall highlight the challenges that Bitcoin and other cryptocurrencies will have to face in the upcoming months. Moreover, we shall also try to understand if the traditional currencies’ stance on global markets could be hampered by a dramatic surge in the daily basis use of independent (i.e. not controlled by a central bank) cryptocurrencies like Bitcoin. In conclusion, we shall assess the perspective of the blockchain technology to be used in sectors other than cryptocurrencies. As we continue to analyse the different challenges that could hinder the supremacy of the US Dollar over the global monetary system, here we focus on the perspectives that Bitcoin seems to have in this regard. Could cryptocurrencies ever replace traditional, centralized, public authority-regulated currencies? In this article we give a first answer. We also focus on blockchain, the technology behind the majority of cryptocurrencies, which could be the true revolutionary breakthrough. Mistrust in governments, the ICO (Initial Coin Offering) boom, and speculative activities are the main reasons behind Bitcoin’s rise. We highlight that Bitcoin still has no meaningful use as unit of account or means of exchange and that it is a very poor store of value. Furthermore, Bitcoin is likely to suffer from governmental regulation, also because it is widely used for illicit purposes. Nonetheless, the cryptocurrency craze is likely here to stay as companies, Telegram for example, launch their own digital tokens. Yet, cryptocurrencies are not likely to replace traditional currencies, at least in the short-term. Blockchain, for its part, has found concrete applications in a wide variety of industries. 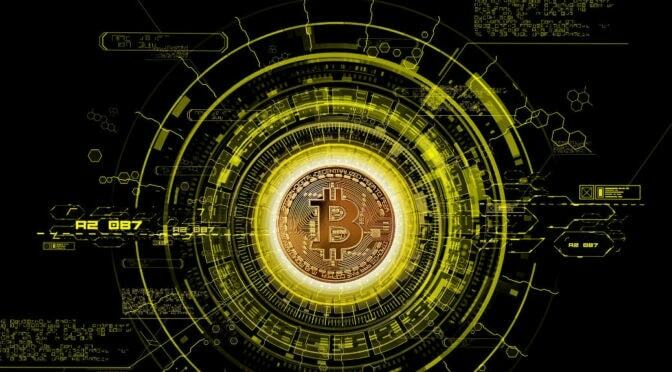 Companies operating in the financial industry, in energy and in commodities trading are currently using this technology which promises to be a game-changer, even if Bitcoin will eventually fail as a currency. These examples of blockchain’s wide applicability may therefore mean that Bitcoin may be nothing more than “a distraction from the true significance of the blockchain” technology (Steven Johnson, ibid.). About the author: Leonardo Frisani (MA Paris) focuses currently on challenges to the US Dollar supremacy. Beyond that, his specialization is in international security, and his main interests are in geopolitics, macroeconomics, climate change, international energy and history. Alpeyev, A. (2018), “Line Expands Into Cryptocurrency Trading Amid Surprise Loss”, Bloomberg Technology, 31 January 2018. Campbell, D. (2017), “Goldman Sachs to Explore Starting Bitcoin Trading Venture”, Bloomberg Markets, 2 October 2017. Cornish, C. and Waters, R. (2018), “Silicon Valley investors line up to back Telegram ICO”, Financial Times, 25 January 2018. Frisani, L. (2017), “Towards the End of the US Dollar Supremacy? Global Currency Fundamentals”, The Red (Team) Analysis Society, 2 October 2017. Frisani, L. (2017), “Towards the End of the US Dollar Supremacy? How Currency Internationalization Impacts State Power, The Red (Team) Analysis Society, 30 October 2017. Graham, L. (2017), “As China cracks down, Japan is fast becoming the powerhouse of the bitcoin market”, CNBC, 29 September 2017. Haswidi, A. and Magtulis, P. (2017), “Southeast Asia ready to embrace blockchain”, Financial Times, 5 December 2017. Jensen, R. and Russo, C. (2018), “Bitcoin Storms Back From Dip Below $10,000 in White-Knuckle Ride”, Bloomberg Technology, 17 January 2018. Johnson, S. (2018), “Beyond the Bitcoin Bubble”, The New York Times Magazine, 16 January 2018. Kharif, O. and Leising, M. (2017), “Bitcoin and Blockchain”, Bloomberg, 11 December 2017. Kharif, O. and Russo, C. (2017), “Global Regulators Play Bitcoin Whack-a-Mole as Demand Explodes”, Bloomberg Markets, 11 October 2017. Koyanagi, K. (2018), “Inside Asia’s bitcoin economy”, Nikkei Asian Review, 31 January 2018. Lam, E. and White, T. (2018), “Bitcoin Fall Extends to 25% as Fears of Crypto Crackdown Linger”, Bloomberg Technology, 16 January 2018. Leinz, K. (2018), “A Look at Who Owns Bitcoin (Young Men), and Why (Lack of Trust)”, Bloomberg Technology, 24 January 2018. Long, G. (2018), “Maduro’s cryptocurrency scheme met with scepticism”, Financial Times, 16 January 2018. Milne, R. (2018), “AP Moller-Maersk and IBM to use blockchain in global trade”, Financial Times, 16 January 2018. Morris, D. Z. (2017), “The SEC Filed Fraud Charges Against 2 ‘Initial Coin Offerings'”, Fortune, 1 October 2017. Mundy, S. (2018), “India signals cryptocurrency crackdown”, Financial Times, 1 February 2018. Ozsoy, T. and Doff, N. (2017), “Bitcoin Breaches New Milestone by Smashing Past $5,000 Mark”, Bloomberg Technology, 12 October 2017. Rogoff, K. (2017), “Crypto-Fool’s Gold?”, Project Syndicate, 9 October 2017. Roubini, N. (2018), “Blockchain’s Broken Promises”, Project Syndicate, 26 January 2018. Scaggs, A. (2018), “ICO regulator anger translator”, Financial Times Alphaville, 23 January 2018. Seddon, M. and Arnold, M. (2018), “Putin considers ‘cryptorouble’ as Moscow seeks to evade sanctions”, Financial Times, 2 January 2018. Smyth, J. (2017), “ASX chooses blockchain for equities clearing”, Financial Times, 7 December 2017. Son, H., Levitt, H. and Louis, B. (2017), “Jamie Dimon Slams Bitcoin as a ‘Fraud’”, Bloomberg Technology, 12 September 2017. Terazono, E. (2018), “Commodities trader Louis Dreyfus turns to blockchain”, Financial Times, 22 January 2018. Tirole, J. (2017), “There are many reasons to be cautious about bitcoin”, Financial Times, 30 November 2017. Urban, R., Russo, C. and Nakamura, Y. (2017), “Bitcoin Futures Deliver Wild Ride as Debut Brings Rally, Halts”, Bloomberg Technology, 11 December 2017. Ward, A. (2017), “BP experiments with blockchain for oil and gas trading”, Financial Times, 3 October 2017.